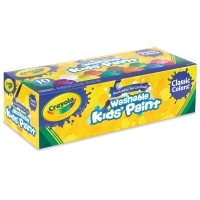 Crayola Washable Kids' Paint has a rich, creamy consistency and will not chip or rub off. 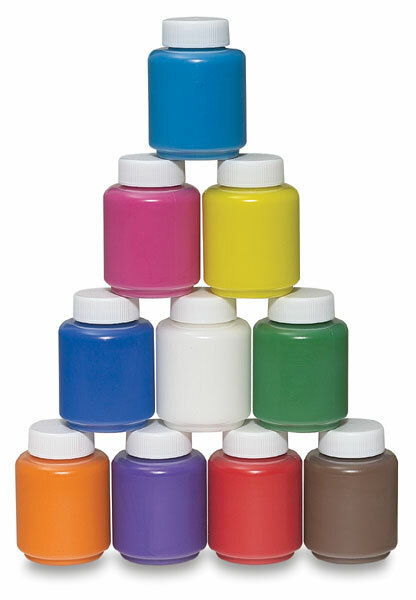 It can be used on almost any surface, including construction paper, posters, drawing paper, cardboard, papier mâché, and more. This set includes Blue, Violet, Green, Red, Yellow, Orange, White, Brown, Turquoise, and Magenta in 2 oz bottles.